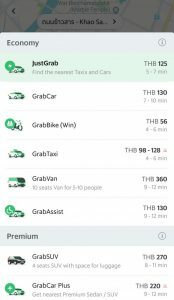 GRAB-Taxi is the biggest ride-hailing App in South-East-Asia and works just like Apps like Uber. 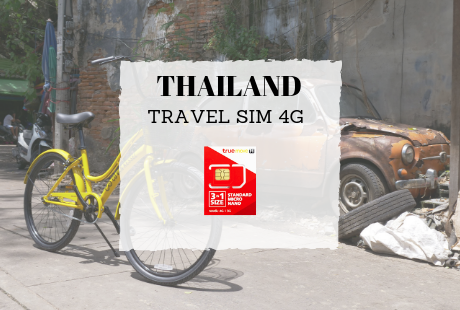 For visitors to Bangkok that don’t speak Thai and don’t know the city well it’s an easy way to get around. 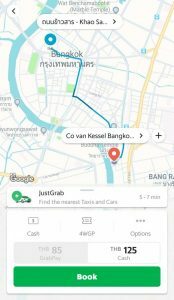 The GRAB app eliminates the need to explain your destination to the taxi-driver and the hassle for most tourists to get a metered-taxi. The Grab App will calculate or estimates the price. There’s no need for negotiating with the driver. The driver will know exactly where you want to go to. Drivers receive ratings and reviews making it more transparent and safe. Pin your location and enter your destination. A driver will accept your ride and is on the way to pick you up. Track where the driver is and note his license plate when he is nearby. Pay with cash (or credit-card if you have it connected) and rate your driver. TIP: Check the notifications section in the menu of the application to enjoy discounted rides. First, quickly register here with your phone-number or e-mail (or even your Facebook account). Once registered your can download the Grab Application in the Play Store or App Store where you can login with your registered email/phone-number. Choose your pick-up location and enter your destination and you are ready to roll! 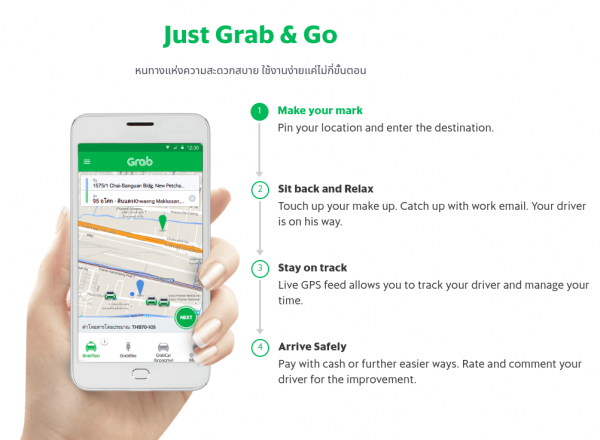 GRAB is not only available in Bangkok but throughout the most of Thailand and South East Asia. There is a variety of services you can choose from each with it’s own price. GrabCar (private driver), GrabTaxi (metered taxi) and GrabBike (motorbike) are among the most popular options. Bigger groups or those with a lot of luggage can also opt for a minivan or a 6-seater taxi. 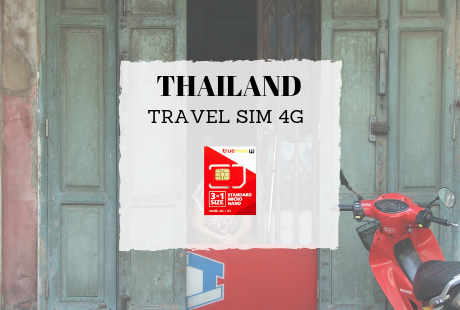 Enjoy 7.5 GB of 4G internet a fast speed of 4 Mbps for 30 days. Enjoy 12.5 GB of 4G internet a fast speed of 2 Mbps for 30 days. 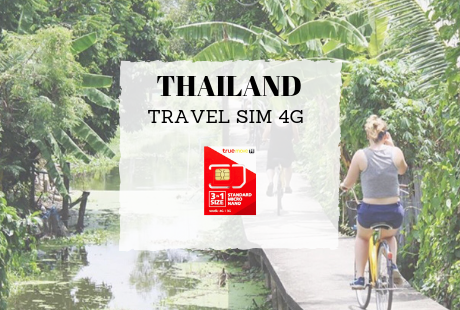 Enjoy 2.5 GB of 4G internet a fast speed of 4 Mbps.